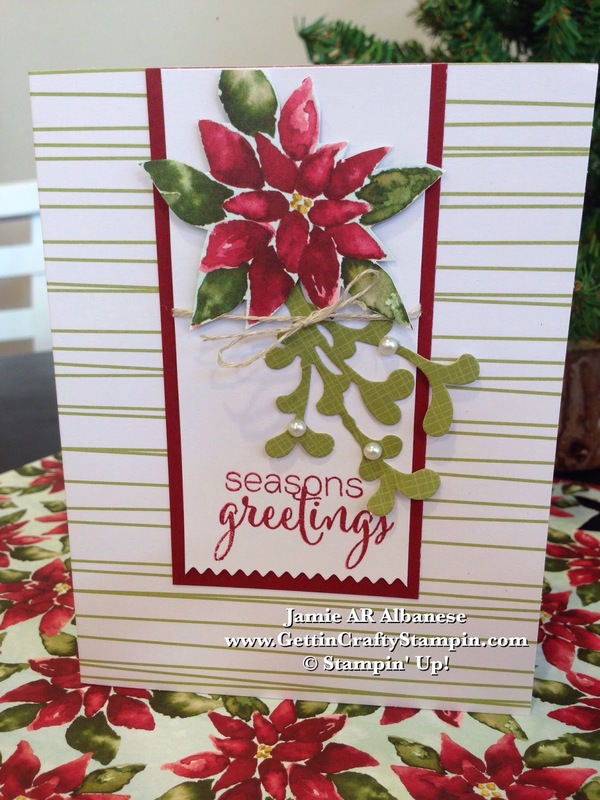 What I really love about what I do (in paper crafting and card making) is connecting with others. 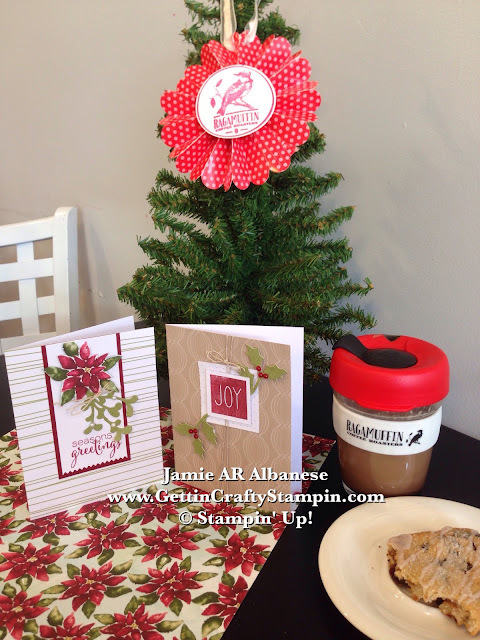 Every Monday morning I offer FREE Card Making and Paper Crafting at Ragamuffin Coffee Roasters. I love sharing the awesomeness of our Paper Pumpkin kits with people.. an all inclusive kit that has the stamp set, ink, paper, accents and adhesives to create beautiful and timely hand-crafted cards and crafts. One kit, so much fun! This fun filled kit is super easy to do, fun and the highlight of my kid's month (they do their own kit to thank, connect and bless others, too!). Here taking the Paper Pumpkin card (in the middle) up a notch is easy to do with some Fussy Cutting (using our Paper Snips) and the Season of Cheer Designer Series Paper (139590). What a pretty poinsettia! Our super sharp paper snips make it a breeze to cut these pretty and color coordinated flowers out as a bonus seasonal accent. 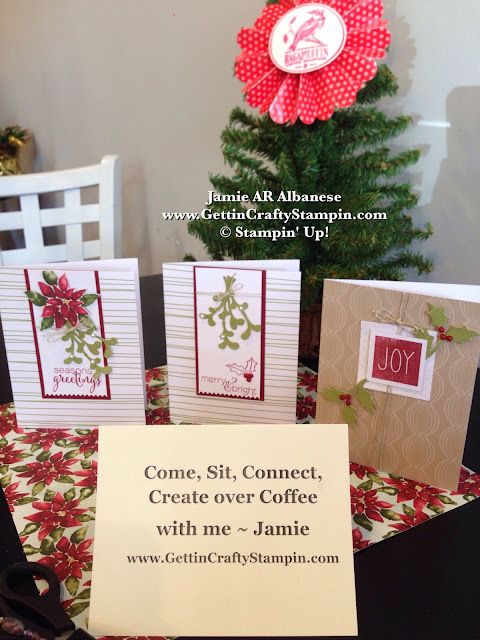 Create, connect, card making and coffee (or tea) with me, Jamie at a local artisan coffee house. Shop local, small businesses and strengthen your community while you bless families directly! 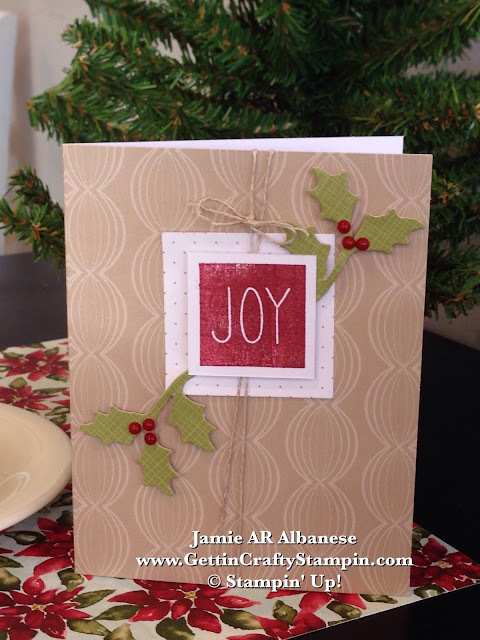 Join Me on Mondays and at my full line-up of fun card making and you can connect, create and bless. Seriously these cards are so cute! 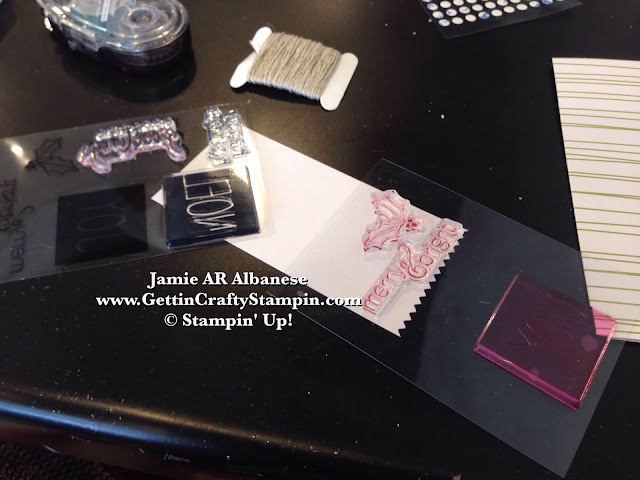 Your first Paper Pumpkin kit is delivered with a clear block to use with the stamp sets. When you are running out of the house at 7:40 a.m. to drop four kids off at three schools.. eeek.. you may forget your block (sigh) when you grab your Paper Pumpkin kit. What to do.. what to do... first - have grace for yourself!! Second.. get creative!! Options.. take it up a notch with the stamp you pick from the set (it comes with many options) and how you use the cute accessories (like these adhesive backed pearls and berries), the cute twine location and adding our pretty Designer Series Paper. Which version do you prefer - leave me a comment and let me know! Join me In-Person, To-Go or via Paper Pumpkin for awesome creative activities! The Paper Pumpkin delivers right to your door and with a step-by-step tutorial, a video tutorial and all of the items you need to create these (I encourage you to have extra adhesive like Glue Dots and your Paper Snips). Creating, connecting, card making (and sending them out to bless others), and a warm cup of coffee. What we do is pretty awesome for our own soul and blessing others all wrapped up in a hand-stamped card.